Patriots – Chiefs Key Matchups, Who Has the Razor’s Edge? The New England Patriots begin the 2017 season trying to become the first team since the 2003-2004 Pats to repeat as Super Bowl Champions. They have a great first game of the season on tap as they face the Kansas City Chiefs who were the #2 seed in the AFC a year ago. The game will be televised by NBC with their top announcing crew of Al Michaels and Cris Collinsworth handling the play-by-play and analysis duties. The game will also be on the Patriots flagship radio station 98.5 The SportsHub with Bob Socci and Scott Zolak on the call. 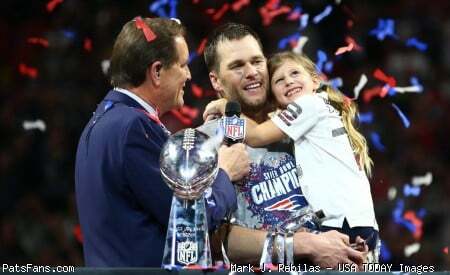 The Patriots (14-2) won the AFC East a year ago and were the top seed in the AFC They beat the Texans and Steelers at home before going to the Super Bowl LI and coming from 25 points down to wind up defeating the Atlanta Falcons in the first overtime game in Super Bowl history. The Chiefs (12-4) won the AFC West before losing to the Steelers 18-16 in the Divisional Round of the playoffs. We here at PatsFans.com are continuing our “Razor’s Edge” column in 2017 to give a quick break down on some of the key matchups of the game and what you can look for in how the game plays out. The Patriots and Chiefs have met 34 times with Kansas City holding an all-time 17-14 edge (three ties). The series has been dominated by the home teams, with KC owning an 11-3-1 lead at home and the Patriots enjoy an 11-6-2 mark at home. The last time the teams met was in January 2016 when the Patriots defeated KC 27-20 in the Divisional Playoff Game. The Patriots running game is really a new entity in 2017 With Mike Gillisllee and Rex Burkhead coming on board this spring, Dion Lewis is waiting in the wings as well with James White. They have plenty of weapons and they will be able to run the ball very well this season. But in Week 1? They haven’t worked together much on the field and although the unit is solid, they’ll need to get things sorted. KC was uncharacteristically soft in their run defense in 2016 giving up 121 yards per game. Dontari Poe was let go as they felt he couldn’t handle the double teams anymore and the team brought in Bennie Logan. Justin Houston and Derrick Johnson return as well and this unit should be much tougher to run against than a year ago. The Patriots passing game was outstanding for the 2016 season and they’ve added Brandin Cooks this spring. However, the loss of Julian Edelman is a huge blow to the offense, especially on third down. But with Cooks, Chris Hogan, Danny Amendola, tight ends Rob Gronkowski and Dwayne Allen with RBs White, Lewis and Burkhead coming out of the backfield, QB Tom Brady has a plethora of targets to use. The Chiefs have an outstanding pass defense. With CB Marcus Peters and SS Eric Berry, they have two of the best players at their position in the league. With Houston back and healthy after two seasons of knee injuries and Dee Ford as their pass rushers, they can get after the QB. They suffered a big blow with CB Steven Nelson going on IR. Terrance Mitchell will fill in and will be tested. The Chiefs lost their starter Spencer Ware during the preseason and he was expected to be the lead back in Andy Reid’s offense. That was a big loss for them, but rookie Kareem Hunt from Toledo is an intriguing player with a lot of upside. Many of the pundits had him as one of the top RBs in this year’s draft class. Charcandrick West and C.J. Spiller back him up. Tyreek Hill is the X-factor in the running game as is Alex Smith who can scramble. The KC Offensive line is very good. The Patriots are set up very well to stop the run in 2017 with Alan Branch returning, Malcom Brown inside along with Lawrence Guy and linebackers Dont’a Hightower and David Harris. This preseason, opponents were running right at the center of the defense, albeit with many backups in the game. It will be interesting to see if this trend continues into the regular season. Alex Smith had a stellar 2016 completing 67 percent of his passes. He rarely makes mistakes, and while he’s not an “elite” QB, he’s plenty good enough to take them deep into the playoffs if he gets help around him. Tyreek Hill and Travis Kelce are his top two targets and they are each difficult to account for in their own way. With releasing Jeremy Maclin this spring, KC needs a third WR to step up. The Patriots added CB Stephon Gillmore this spring to an already solid secondary. Malcolm Butler, Eric Rowe (slot), along with Devin McCourty and Pat Chung give the Pats an (on paper), outstanding secondary. But the question this season will be is the pass rush going to be good enough? They get their first test on Thursday night against a good OL and a QB that can run. The Patriots special teams get the slight edge in the kicking game, where Stephen Gostkowski is among the best in the league at the pooch kickoffs stranding teams deep and he’s seeming back on track after a solid summer. He gives them the edge over Cairo Santos. Dustin Colquitt and Ryan Allen are both outstanding punters that excel in directional punting and hitting punts inside the 20 But in the return game, the Chiefs have a clear advantage. Hill is a dynamic returner who averaged 15.2 yards per return. With Cyrus Jones and Julian Edelman on IR, the Patriots return game is starting from scratch. This game and the first game of every season are always among the most difficult to predict because there are so many unknowns out there with no regular season film to watch. The Patriots should get a huge boost from the home crowd especially with dropping Super Bowl banner #5 just prior to the game. But I worry about them coming out flat after all the emotion of the pregame celebrations. I keep reading all over social media that the Pats are going to romp in this one. I couldn’t disagree more. This Chiefs team won 12 games a year ago and have a few of their key pieces back that was missing. I think this is going to be a tough, hard-fought one with almost a playoff atmosphere to it. A couple of the key matchups to watch is Eric Rowe, who I think will draw Kelce on defense and if he can stand up to the physicality of him. Malcolm Butler will draw Hill with safety help. The Chiefs aren’t an air-it-out team but you can expect them to try a few times. I look for them to try to get Hill the ball in space. Look for shallow crosses or rub routes. When he gets the ball, he can fly. On offense, look for Tom Brady to spread out the Chiefs defense and try to find the mismatches. With everyone talking about Cooks and newcomer Phillip Dorsett, who may not even play, they’re forgetting the main man for Brady and that is Gronkowski who is healthy now and wants to put on a show in primetime…much like Hill. With Brady stretching the seams and forcing some of the Chiefs excellent LBs into coverage, they should be able to find some space. This will be a tough, exciting matchup. I like the Patriots to hold serve at home. 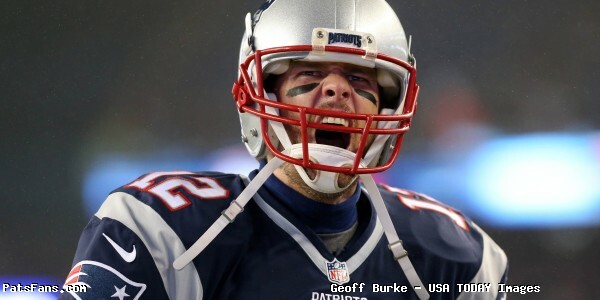 This entry was posted in 2017 Patriots Season, Patriots Commentary, Patriots News and tagged 2017 Patriots Season, Alex Smith, Andy Reid, Bill Belichick, Chris Hogan, Danny Amendola, Dee Ford, Derrick Johnson, Dion Lewis, Dont'a Hightower, Eric Berry, James White, Justin Houston, Kansas City Chiefs, Malcolm Butler, Marcus Peters, New England Patriots, NFL, Patriots, Patriots edge rushers, Rob Gronkowski, Tom Brady, Travis Kelce, Tyreek Hill on September 6, 2017 by Steve Balestrieri.